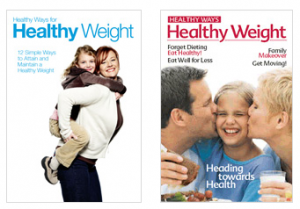 Get your 2 FREE issues of Healthy Ways to Healthy Weight Magazine. Submit your information and your 2 FREE magazines will be sent to you in the mail. The PDF formats are also available for you to download. Please note that if you are having trouble with selecting your province, try using Internet Explorer. I had to switch to that for it to work. Healthy Ways Healthy Weight provides useful information and articles to help get you motivated to get and stay healthy. This magazine also has lots of great healthy recipes. This is a great resource to make a change for the better.